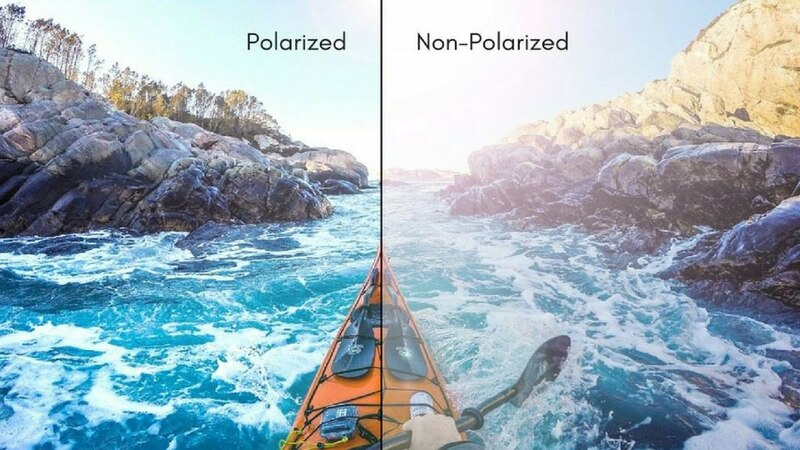 What Are Polarized Lenses Best For? How Does Lens Color Play a Role in Fishing? When preparing for a day on the water, you should be thinking about more than just packing up your fishing gear. On sunny days, when harsh rays reflect off the surface of the water, your eyes take the brunt of the damage. It’s very important to protect your vision to avoid permanent injuries; sunglasses are a great way to do so. An even better step is to invest in a pair of polarized fishing sunglasses, which have the ability to filter out specific lighting, making your eyes the perfect tool for spotting fish below the surface. This article will walk you through some of the best options for polarized glasses designed to fit your needs. Polarized sunglasses are extremely popular in the fishing world for a multitude of reasons. Firstly, they offer all the protection of a traditional pair of sunglasses, blocking harmful UV rays and keeping dirt and debris out of your eyes. They also have a specialized filter used to eliminate glare, a persistent issue that occurs when you’re surrounded by a body of water. Glare is created when sunlight with a vertical wavelength bounces off the surface of the water, resulting in an additional horizontal wavelength. These two wavelengths vibrate together, producing glare that can cause serious harm. Polarized lenses prevent reflected light from entering your stream of vision. There are several different types of polarized lenses, each works to filter certain types of light. Great lenses eliminate yellow light, which can cloud your vision, and enhance blue, green, and red light, which assists in spotting fish below the surface. Choosing a lens color is vital to the success of a pair of polarized sunglasses. Your choice will depend on the setting in which you will be fishing. There are several options which play different roles in filtering light and color. 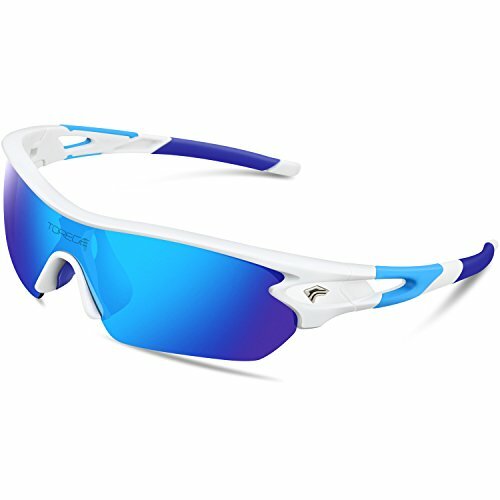 Blue lenses are great for fishing in deep water, especially on the open ocean. They perform best in full-sun situations when conditions are bright and harsh. These lenses can reduce visibility in low-light, which make them less ideal for evening or night fishing. Green lenses are similar to blue lenses in the respect that they also work well in full sun. However, these lenses are best suited for fishing inshore on freshwater. They also are not suitable for low-lighting. Gray and copper lenses are a great standard for polarized lenses. They work to reduce glare in everyday life and are effective in a variety of fishing settings. Both work equally well on sunny and overcast days. There are numerous benefits that come along with wearing polarized sunglasses during a fishing trip. These lenses prevent eye fatigue and strain by increasing comfort; when faced with glare from a body of water, we tend to squint a lot more than usual, which can lead to eyestrain and discomfort. They also make it much easier to see objects, such as fish near the surface of the water, in bright conditions. Perhaps the most beneficial attribute for angling is their ability to enhance vision and contrast for seeing into the water, giving fishers a better view of underwater habitats. Polarized lenses are an investment. They tend to be in a price range much higher than traditional sunglasses because of their added benefits. There are also some outdoor activities that don’t work well with polarized lenses, such as skiing; these lenses might be angling-specific depending on your fishing activities. These Duduma polarized sunglasses are specifically made for outdoor sporting activities, including fishing. They feature 100 percent protection against harmful UVA and UVB rays and also filter wavelengths up to 400nm of blue light. Their polarized filter works to eliminate glare on the water, as well as restore true color and eliminate scattered and reflected light. They come in a variety of lens colors, which allows the buyer to pick and choose for their own angling preference. Each pair of glasses comes with a lifetime warranty and a 30-day money back guarantee, providing a little more peace of mind for those who are hesitant to buy. 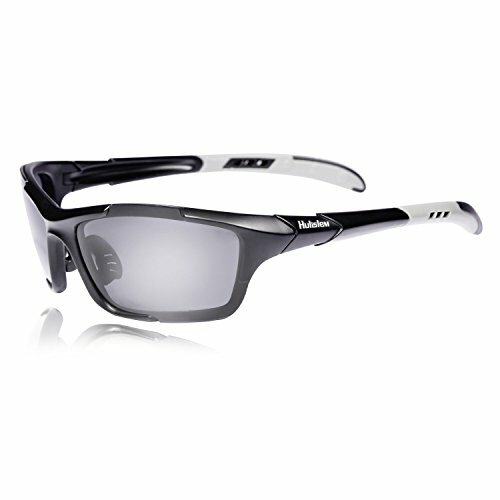 These glasses are great for anglers who are searching for their first pair of polarized lenses. They offer an extensive range of lens colors and styles, giving you a great collection to choose from, depending on your own style and fishing needs. Keep in mind there are more durable polarized sunglasses on the market, but this pair is a great place to start. The stylish sibling of the Duduma polarized sports glasses, Duduma’s designer fashion sunglasses have a sleek design and the same great qualities. They offer UVA and UVB protection, blocking 100 percent of the sun’s harmful rays. The lenses feature a seven-layer design, one for polarization, three for added durability and shatter-proofing, and two for UV ray blockage. Rather than having a frame all the way around, the fashion sunglasses feature a frameless bottom for style and a clearer lower visual field. These glasses are versatile and you can use them for a variety of outdoor activities in addition to fishing. For those of you looking for polarized sunglasses with a more fashionable twist, these Duduma glasses are perfect. They’ve got great lens color options, depending on the type of fishing you love, and, because they’re not made of super durable material, they won’t break the bank. Check the size dimensions before buying, as some users have complained that the frames are too narrow for their face shape. Flying Fisherman Maverick glasses were made specifically for angling. The sleek design comes in three different lens color options: Amber, yellow/amber, and smoke, making them ideal for a variety of angling. These glasses feature 95 percent UVA and UVB protection, in addition to glare-cutting polarization. The semi-rimless design offers added visibility and the frame flexes to fit a variety of head sizes. Polarization allows fishers the ability to see deep into river beds by eliminating glare on the surface of the water, enabling the user to have a better idea of where fish are located. 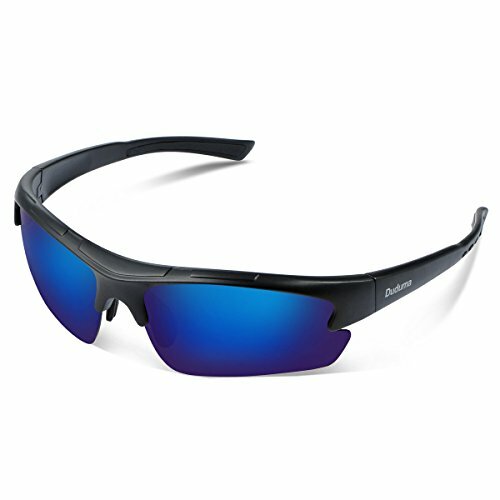 Sporting in bright conditions can become significantly easier with these Flying Fisherman Maverick glasses. Because they’re designed specifically for fishing, they’ve got the qualities that make them great for seeing under the surface of a body of water. Unfortunately, this line of glasses only comes with three lens options, and they tend to be a little more fragile than some more durable pieces on the market. The Hulislem S1 sunglasses are advertised as “state-of-the-art Italian engineering.” They’re great for a variety of sporting activities, including fishing. They feature UV ray protection, with an added benefit of mirror flash coating, which prevents UV wavelengths of 400nm and below from reaching your eyes. They currently offer two lens colors: Smoke and blue. Each lens is HD grade and coated with iridium to reduce eye fatigue. To make the frames durable, they use “TR90 thermoplastic material,” which is a combination of plastic and metal. If you’re on a budget looking for a great polarized lens sunglasses, look no further. Though these frames might not be the most fashionable models available, their excellent lenses make up for it. The dual-lens technology ensures accurate depth perception and clarity. Remember that this particular model only comes with two lens colors, so make sure the color will fit your fishing needs before purchasing. 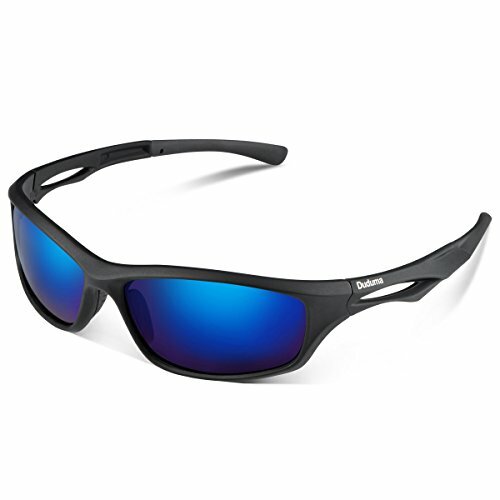 Anglers looking for versatility will love the Torege Polarized Sports Sunglasses. These frames are available in several different colors and five interchangeable lenses, though only the black lens is polarized. A rainbow lens protects from UV rays, a yellow lens enhances light in dark conditions, blue and clear transparent lenses offer UV protection and keep dust and grime out of your eyes, and the black lens is the one that is polarized, which is most helpful for fishing. The frame is flexible and moveable, making them suitable for a wide variety of head sizes. There are some structural issues with the Torege glasses but they are affordable, stylish, and come with several components that increase their value. If you are charmed by the idea of five interchangeable lenses, keep in mind that only one is polarized. To ensure your polarized sunglasses are long-lasting, you should keep a few things in mind when it comes to caring for and cleaning them. When not in use, always keep your sunglasses in a hard backed case. This will prevent potential damage from being dropped, sat on, etc. Invest in a lanyard or neck strap to avoid losing them in the water or dropping them on hard surfaces during activities. Be very gentle when cleaning your glasses to avoid scratching the lenses. Remove dust and dirt first by gently blowing on the surface of the lenses. Follow that by cleansing them with warm, clean water. For daily cleaning, you can remove smudges and debris from your glasses by rubbing them with a soft, microfiber cloth. Never use a shirt tail or any other fabric that has the potential to rough up the lenses. If necessary, invest in professional cleaning and repairs to ensure your glasses are getting the best care possible. Polarized lenses are a great investment and are sure to improve your fishing experience and give your eyes the protection they deserve. Remember which lens colors work best for your favorite type of angling to ensure that you find success. All of the glasses listed are a great starting point for any fisher looking to purchase their first pair. Happy Fishing!